At Disneyland Resort we’re always looking at ways to make every guest’s experience as magical as possible. This week we began offering regularly scheduled sign language interpretation at many shows and attractions at Disneyland and Disney California Adventure parks. Guests have access to a schedule of offerings that are interpreted without having to make prior arrangements. The new service is available every Monday and Saturday at Disneyland park and every Sunday and Friday at Disney California Adventure park. No advance arrangements are necessary, however, it is recommended that guests request a schedule confirmation at least one week in advance. 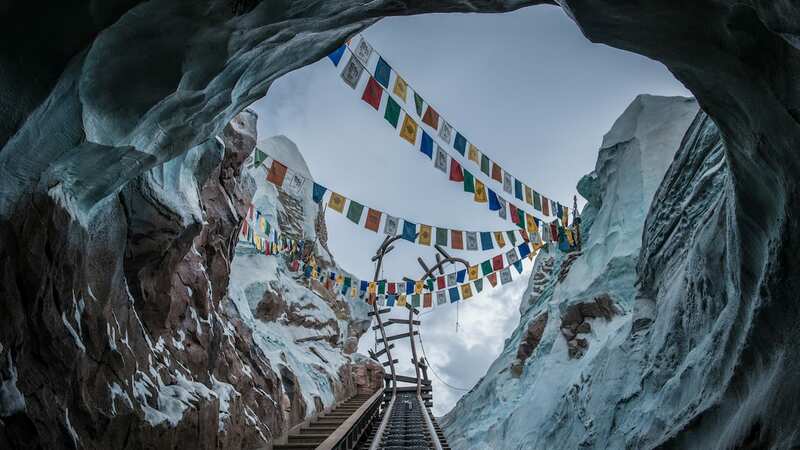 Guests who request confirmation are contacted prior to their visit and provided a current schedule complete with a list of attractions, dates and times of interpreted offerings. Interpretation service for special events and shows can be requested with two weeks notice by calling Disneyland Resort at (714) 781-4636. 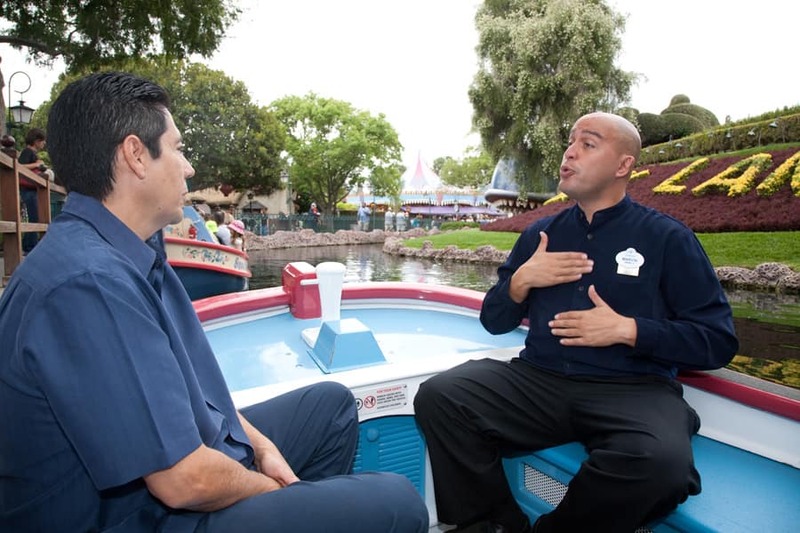 The new sign language interpretation service is offered at the following locations: Guest Relations at both theme parks, Jungle Cruise, Jedi Training Academy, Storybook Land Canal Boats, “Celebrate! A Street Party,” “Billy Hill & The Hillbillies,” “Turtle Talk with Crush” and “High School Musical 3: Senior Year.” It will soon be offered at “Disney’s Aladdin – A Musical Spectacular” as well. In addition to complimentary sign language interpretation, the Resort also has available assistive listening and handheld captioning devices for guests with hearing disabilities. it would be great if you had the assistive listening and handheld captioning devices at the entrance of the ride/show and then to give it back at the exit/end of it. I like that it’s being added to Aladdin. . .that implies it’s length of stay. Hehehe. Thank you for finally catching up with a service that has been offered at Walt Disney World for years. Next please work on more accessible mainstream lines for rides. This is a great service. Maybe I should brush up on my sign language so I can get another job on the weekends. Since I work for an airline during the week I could always fly down there and work on the weekends. Now that would be awesome. Please tell me that a company as large and prestigious as Disney is only hiring well-qualified interpreters for these shows?!?! The skill of interpreting is far more involved and complex than that of simply being able to sign, and the Deaf community deserves to have as full and robust an experience as that of hearing patrons. Such an experience will only be possible by using interpreters who are highly skilled, experienced, and who have the presence to do justice to theatrical performances. (No offense, but those who simply “brush up on their Sign Language” will doubtfully provide the desired and deserved level of service.) The local RID chapter in the Anaheim area can help Disney locate the kind of interpreters one would expect to find working in a Disney production. Absolutely Jennifer, very well said. Im so ecstatic to know Disney has given the deaf and HOH community more consideration. The timing is perfect for me because next month we are surprising our 10 yr old for her birthday and flying to Florida to Disney World. I have a profound hearing loss and I do admit I get intimidated because of my impairment.